Mel Gibson’s next directorial, Hacksaw Ridge from Lionsgate, will open on Nov. 4. Deadline hears that the film tested through the roof and the best place for this title which has equal parts drama, action and faith-based nuances is right in the heart of the awards fall season. Ali Jaafar originally broke the news about Gibson’s movie back in November 2014. 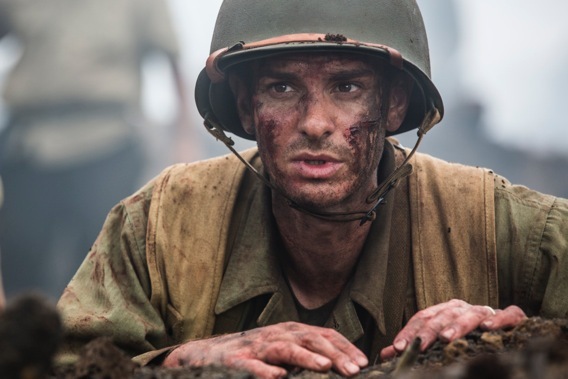 Hacksaw Ridge stars Andrew Garfield as Desmond T. Doss, who was the first conscientious objector in U.S. history to win the Congressional Medal of Honor. Doss was a U.S. Army medic who served in World War II during the Battle of Okinawa and refused to kill. President Truman awarded him the Medal of Honor for saving so many lives. The pic produced by Bill Mechanic, David Permut, Brian Oliver, Tyler Thompson, Bruce Davey, and Paul Currie stars also stars Sam Worthington, Luke Bracey, Teresa Palmer, Hugo Weaving, Rachel Griffiths, Vince Vaughn.